When she first took over as queen, steam locomotives powered the country and connected the world. Now, she’s the Queen of Facebook. Serving her country during WWII, Queen Elizabeth has overseen a time of relative peace and prosperity as a royal, aside from The Troubles and the issue of the Falklands. Compared to a lot of monarchs, that’s practically nothing. Most importantly, she’s quietly defined the role of royalty in the modern era, mostly by keeping her nose out of politics. 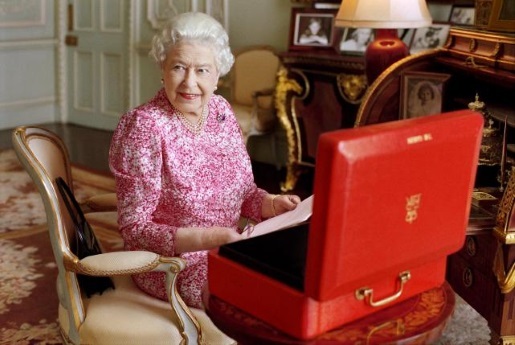 Queen Elizabeth II will take over as Britain’s longest-reigning monarch by this time tomorrow. The monarch Elizabeth passes is her own great-great-grandmother, Queen Victoria. Victoria served her country for a staggering 63 years, 7 months, 2 days, 16 hours and 23 minutes. At 12:30 Eastern time, Elizabeth II will pass that record as monarch. She first took the throne at age 25 on Feb. 6, 1952. She originally was going to allow the milestone to pass without comment, but bowed to public pressure to do a public event in Scotland, where she’s taking her annual summer holiday.